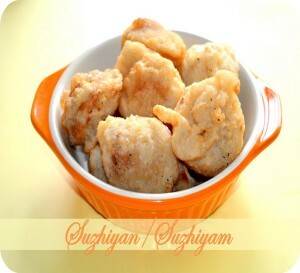 Suzhiyan/Suzhiyam recipe is the traditional sweet which can be prepared during deepavali day.I have some left over puranam after prepared kozhukattai So i used that for preparing suzhiyan/Suzhiyam. This suzhiyam is made of Madai Flour, little rice flour and sweet kadalai parauppu puranam stuffed inside. 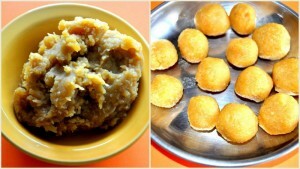 This Madai Sweet Balls are the one must present in all the south indian breakfast during the deepavali day. In this recipe i have updated the video. Please check the method of preparation of Puranam(filling) Here. 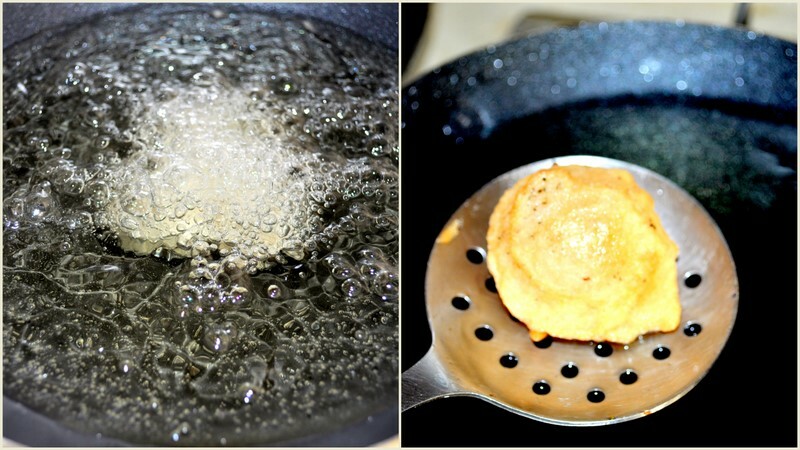 Make small gooseberry sized balls and keep aside.Heat the oil in a kadai.Let us Prepare the Batter for covering. 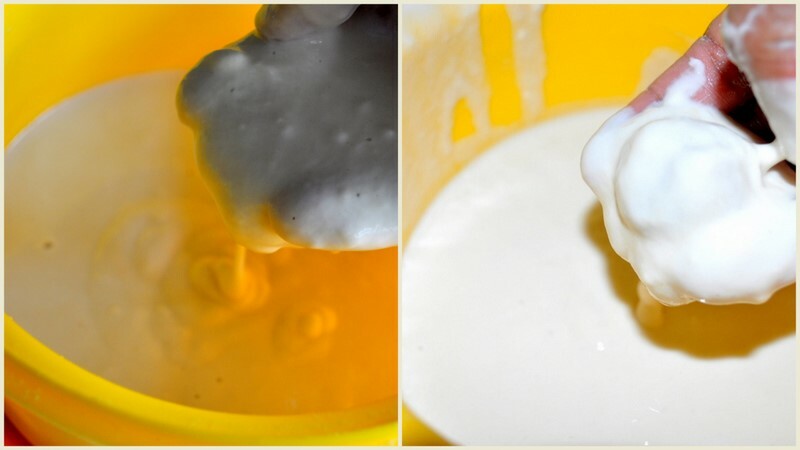 Add the all purpose flour(maida),rice flour,Baking Soda,salt and water in a mixing bowl and mix them well without lumps. The batter should not be too thick or thin.It should be like dosa batter.Dip the Ball in the batter. Drop the balls Carefully into the oil,turn both side and fry well. Take the Suzhiyan out from the oil and drain it in a kitchen towel. Happy Onam to all My Friends!!! omg! you will not believe…i just had this at a restaurant two dys bk! Looks so yumm 🙂 and love this always. 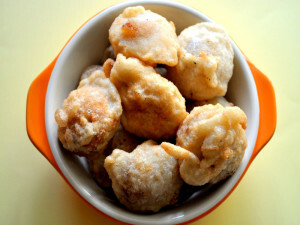 Wish I can grab one from the bowl.. Serious craving. I wish you were my neighbor! Lovely clicks prema. happy wishes to you too. Yummy balls and i always love this filling. My very first post in my blog 🙂 Lovely clicks prema! Filling looks so yummy! I can eat all this in one go. my fav sweet looks delicious.. Perfect looking Sughiyans!! Happy Onam to you too!! Wow this one looks so yummm…Lovely clicks..
That looks mouthwatering n melt in mouth kind delicious! YUM! 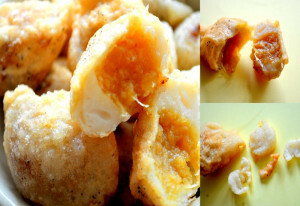 nice tutorial for making suzhiyams- my mom used to make them ! 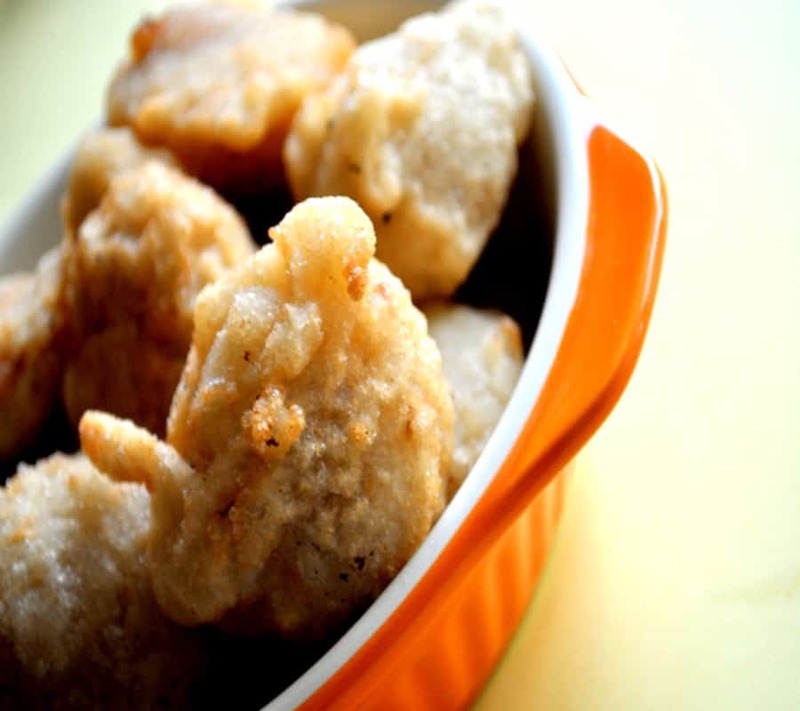 Delicious soyyams,we make these along with appams for Diwali noombu. Wow,lovely yummy recipe…looks delicious..wonderful clicks! oh very delicious n yummyy..
Wow! I’ve never had these before, but they look amazing! Thanks for sharing and I look forward to more of your delicious recipes! Have a GREAT day! Happy Onam to u n ur family, sweet balls are looking simply yummy and great..a nice snack..
After 2 or 3 hops into ur blog, now only i realised i havn’t followed u yet. Did it now and this recipe reminds me of my childhood during which my granny prepares this dish often. Love it absolutely. wow, looks good, in kerala we have similar snaxs called sukhiyan (for filling boiled green gram mix with jaggery and grated coconut), great, I am ur follower now. keep it up.